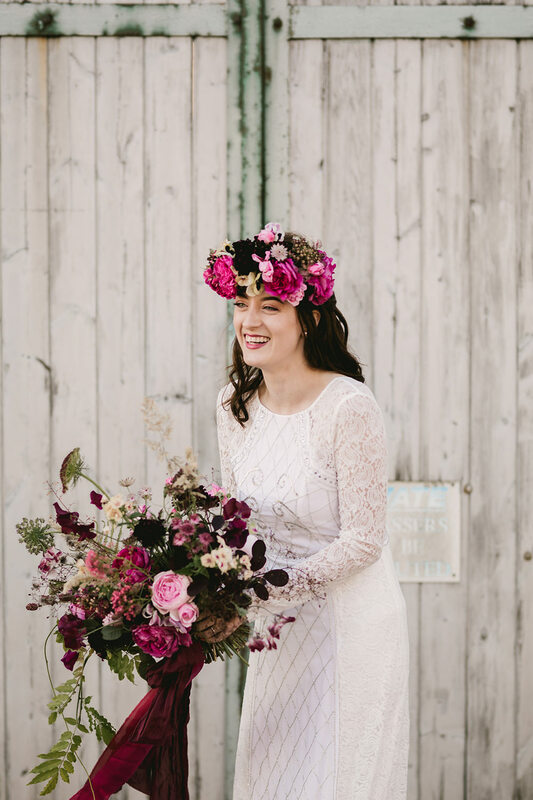 If you’ve been a reader for a while, you will know that flowers are just one of my very favourite things ever. 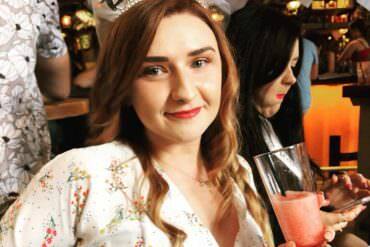 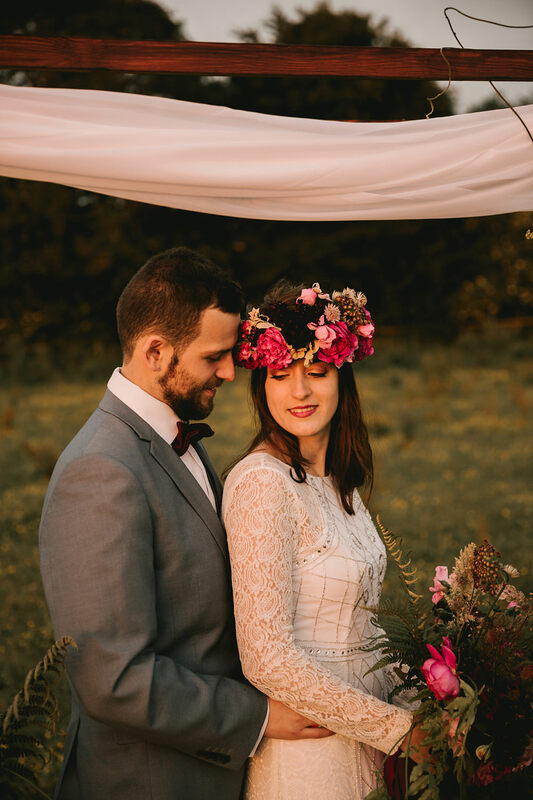 If you are new to these parts, then a very warm welcome to you, because you’ve chosen the perfect day to join us. 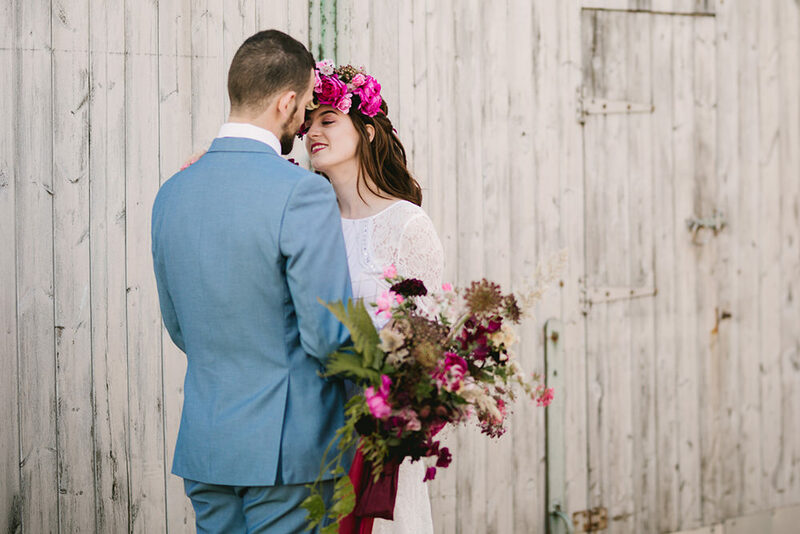 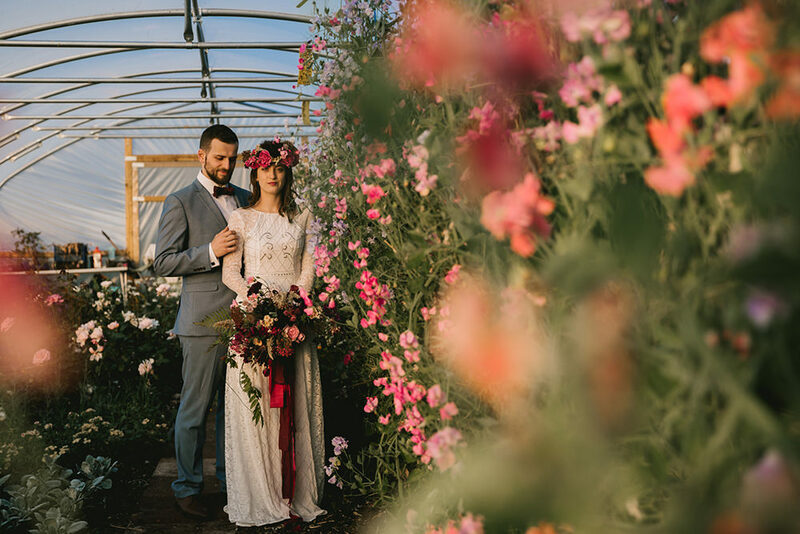 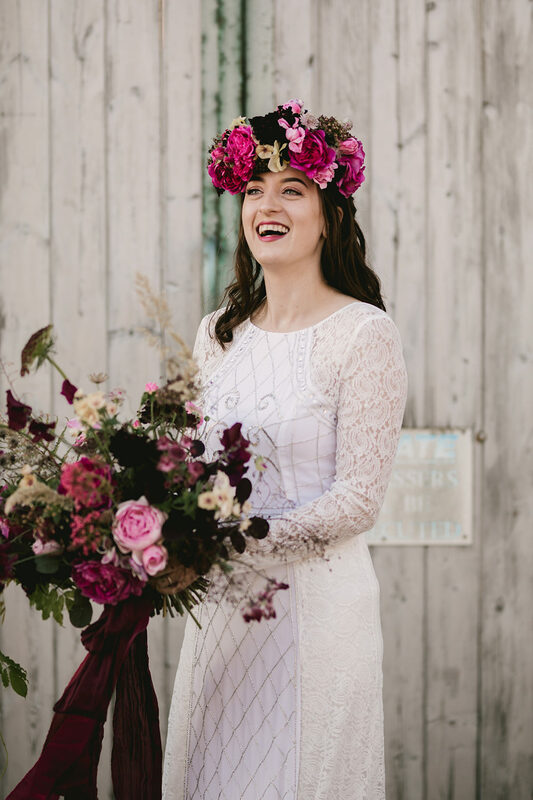 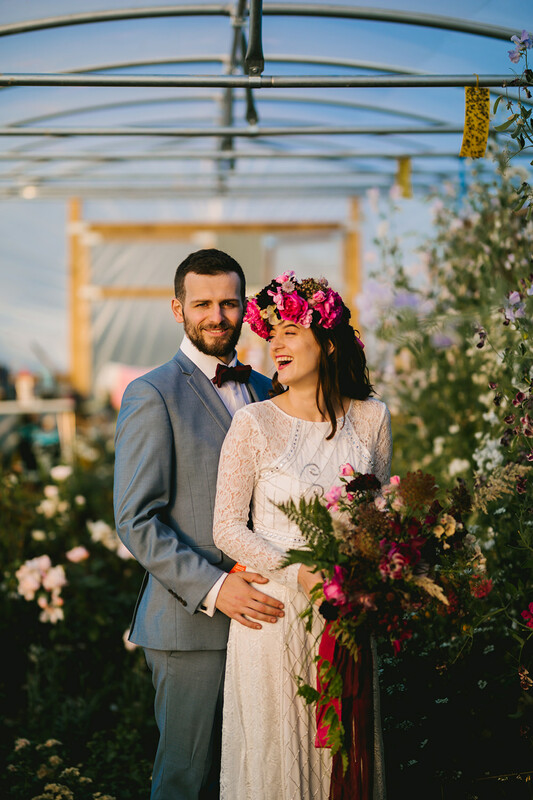 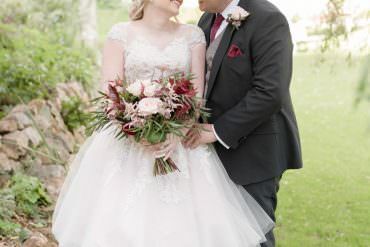 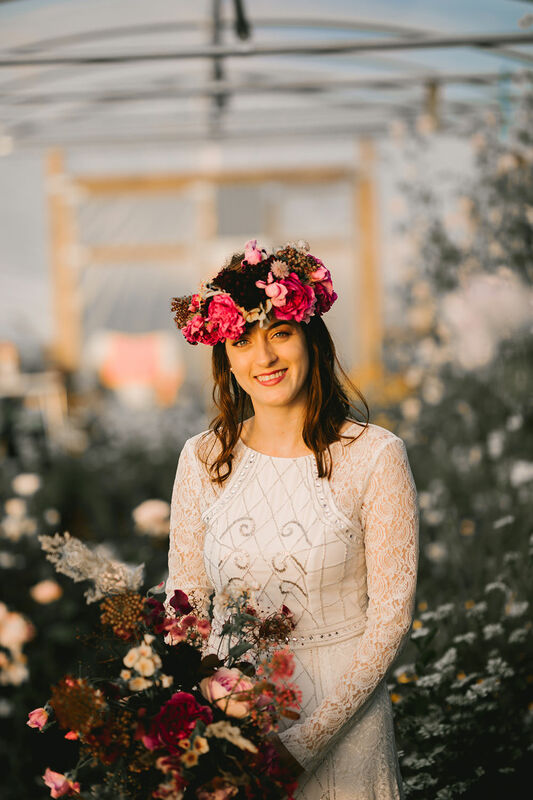 I am feeling in floral wonderland today thanks to these inspirational images from Jemma King Photography, with Moxie Events having designed and styled this editorial shoot to perfection. 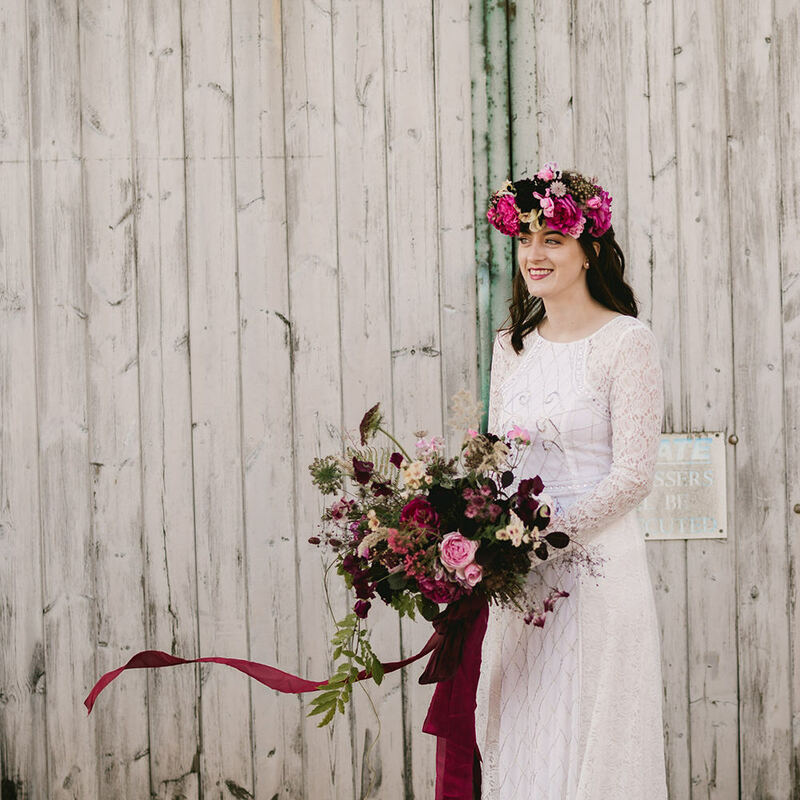 These images have the most moody and luxe colour palette of dark burgundy and magenta pink, which really works beautifully. 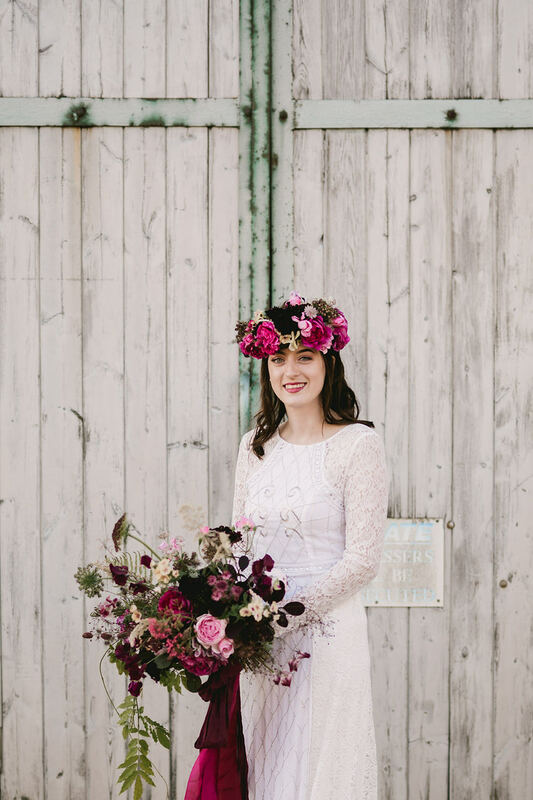 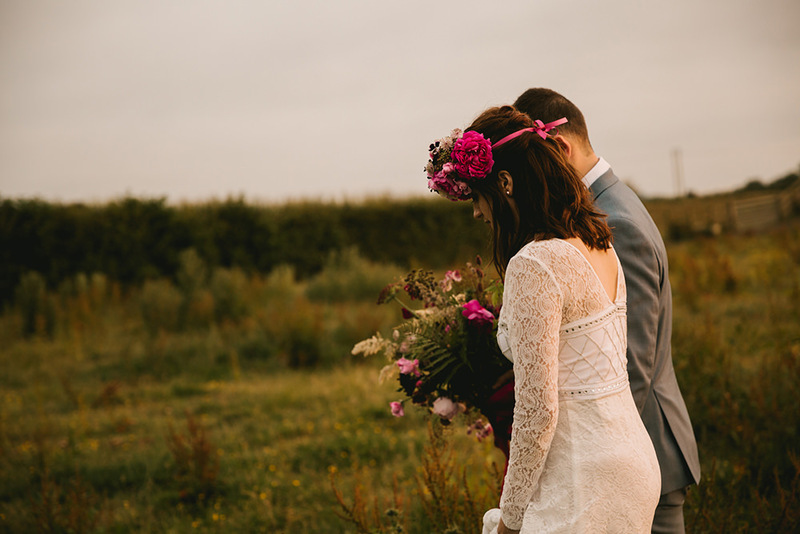 The flower crown and bouquet really are so striking and look perfect against the bride’s long sleeved lace dress. 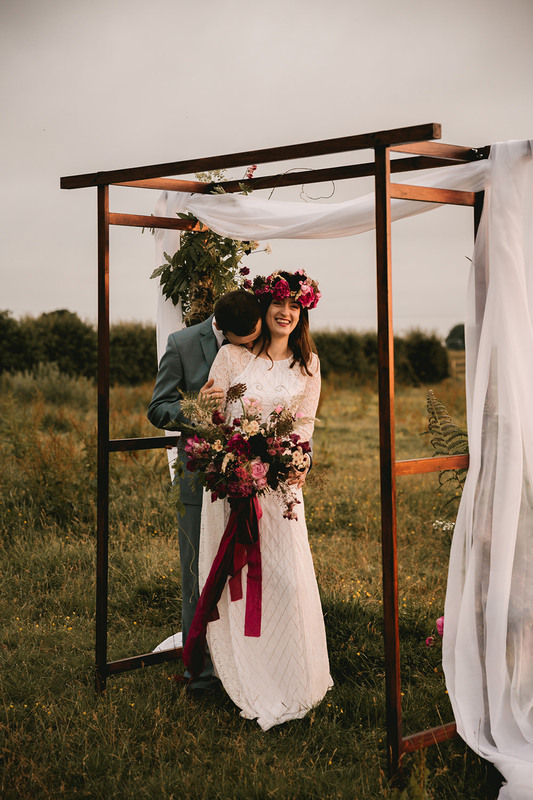 Then there was the opulent flower arch backdrop, draped again with an array of blooms and fabric. 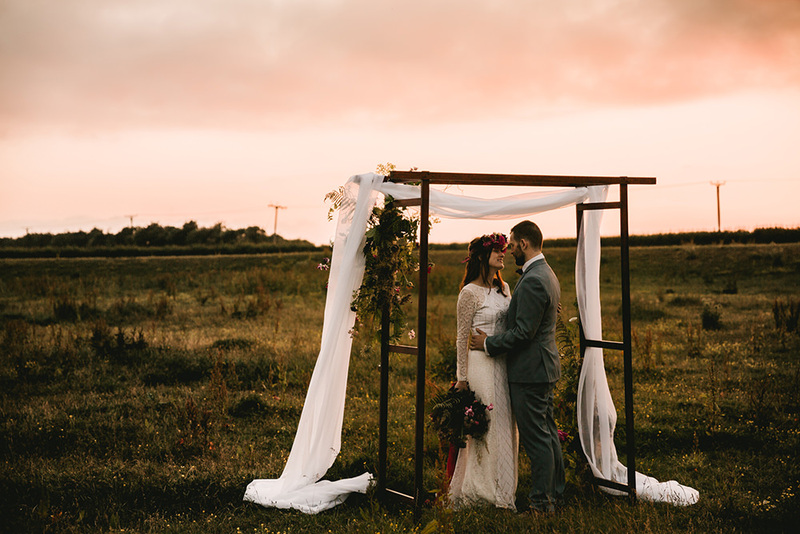 The perfect spot to say I do and of course get those all important portraits! 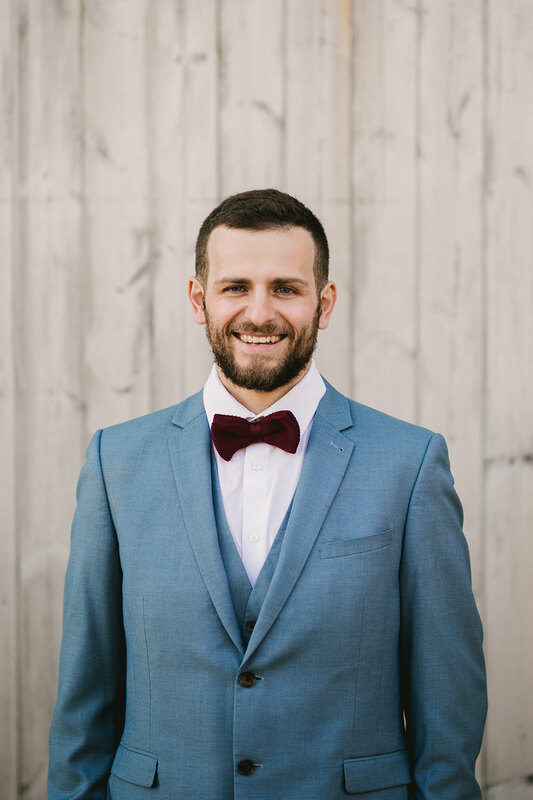 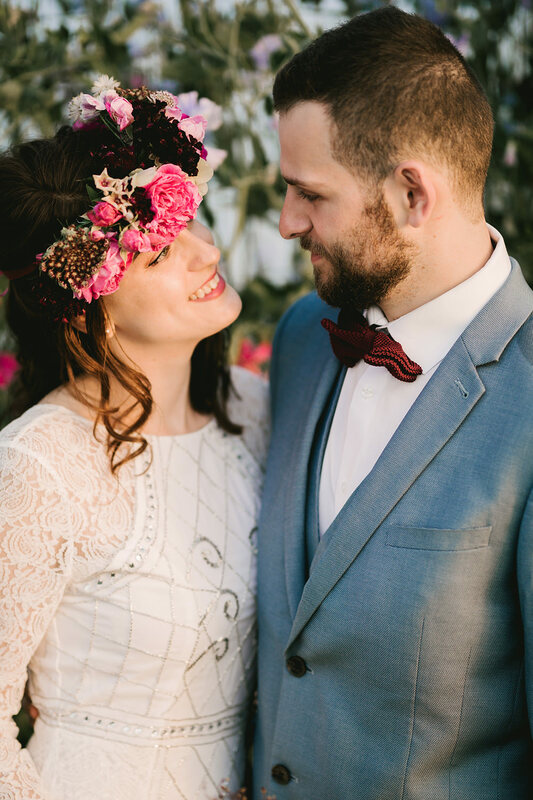 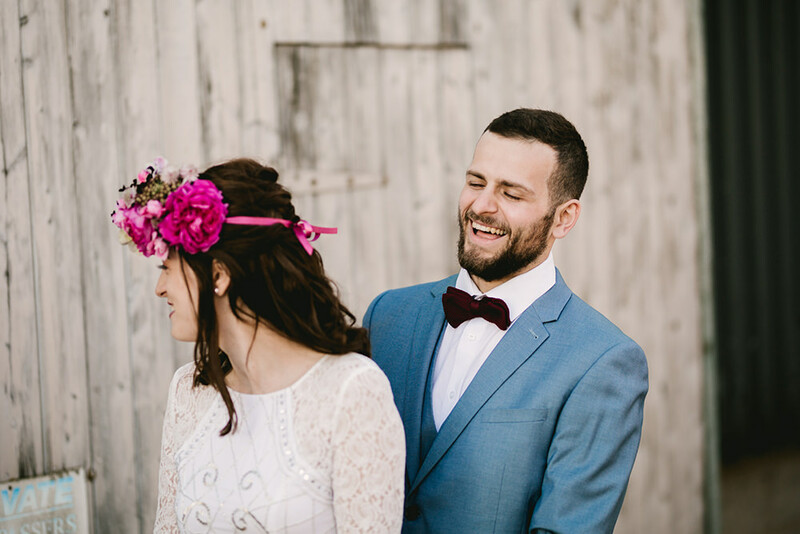 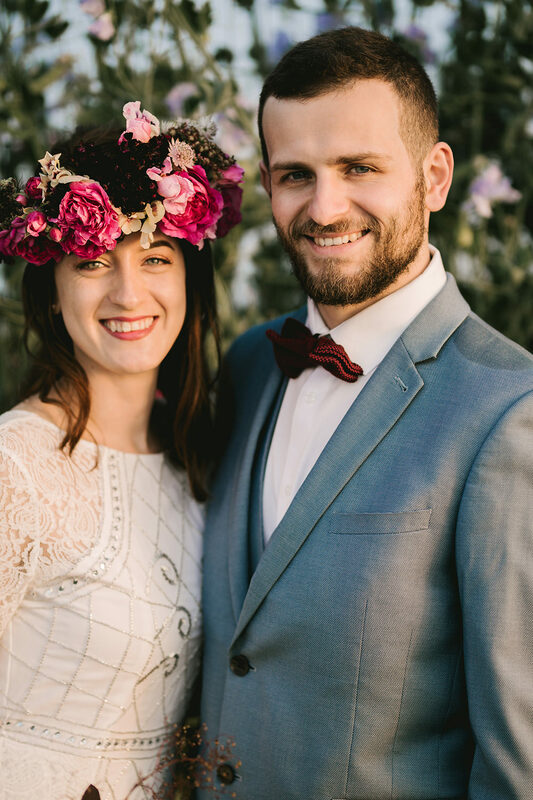 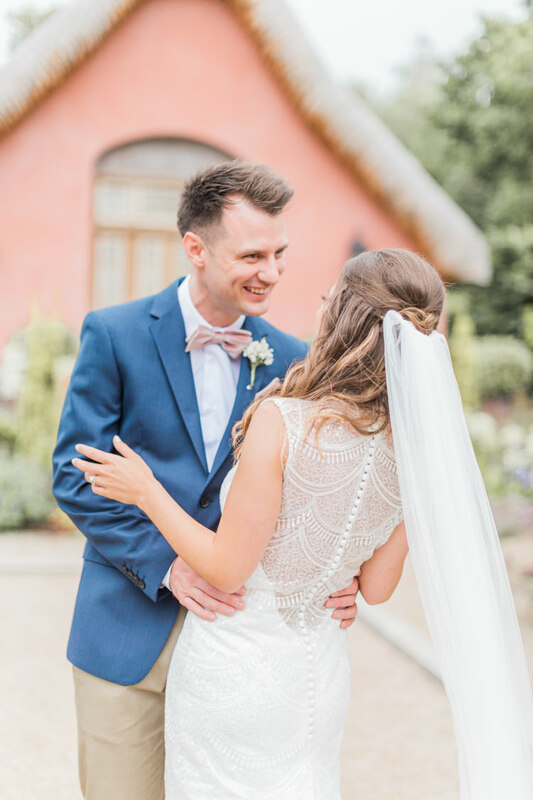 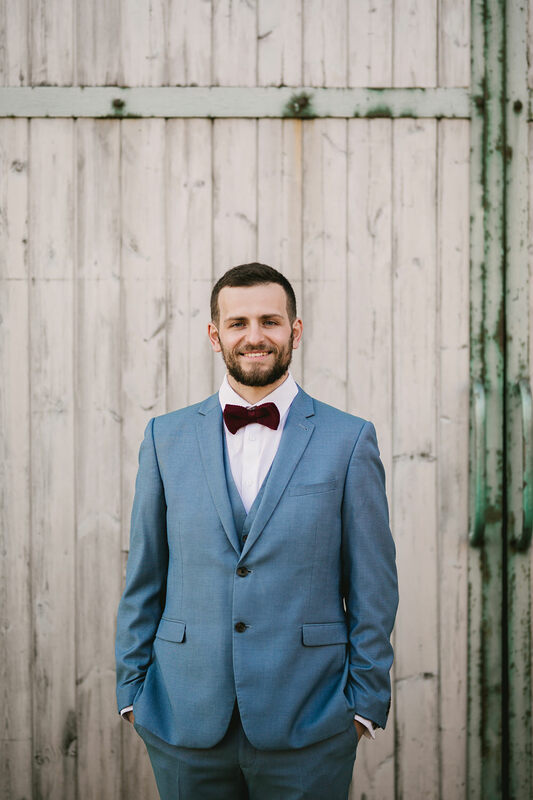 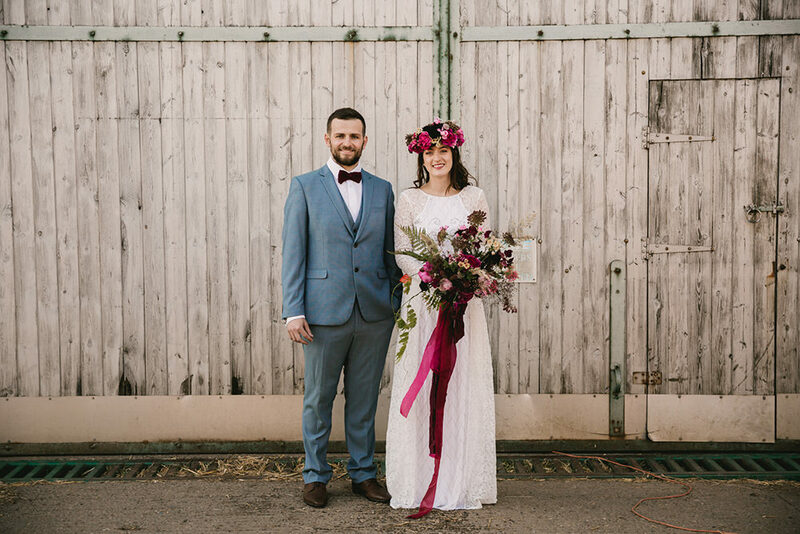 Our groom looked dapper in a blue suit and marsala bow tie, classic yet on trend. 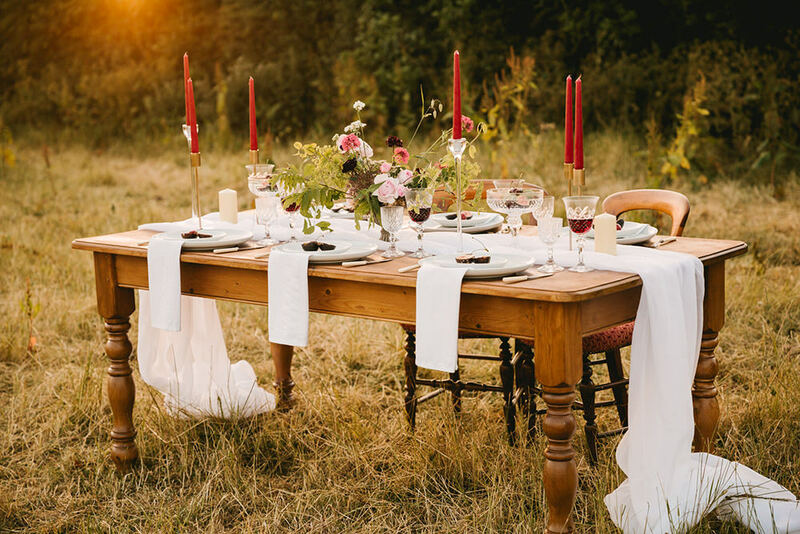 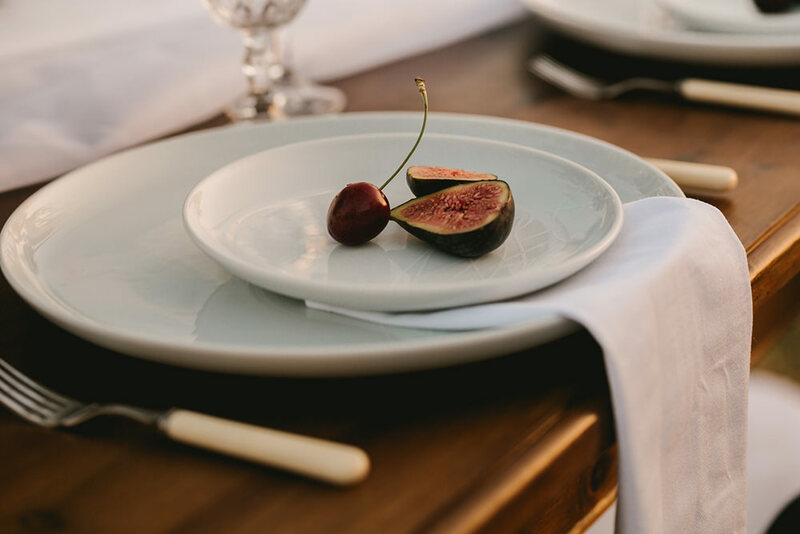 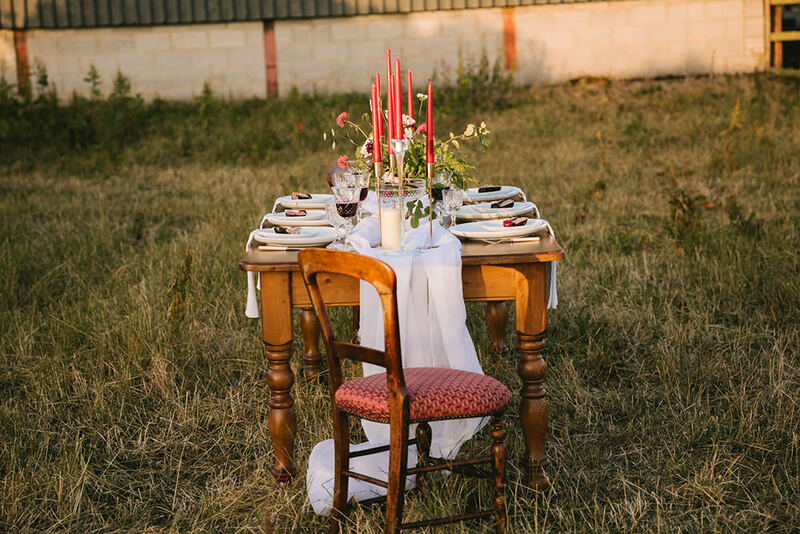 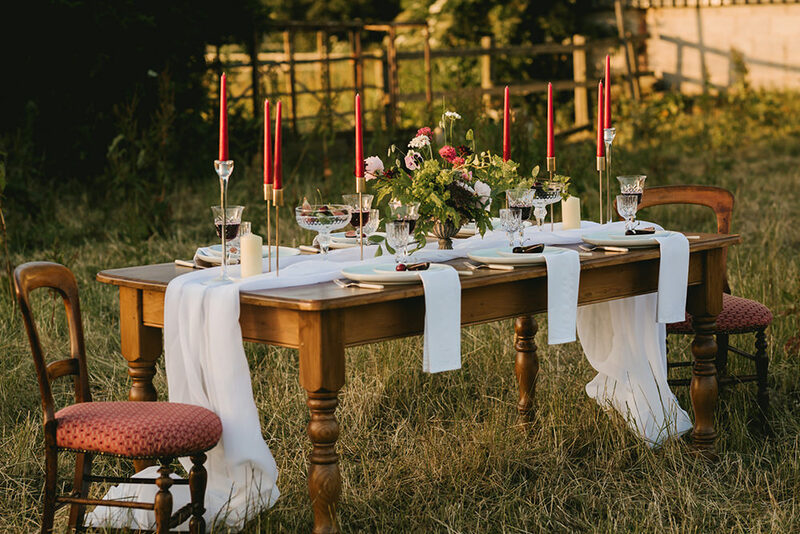 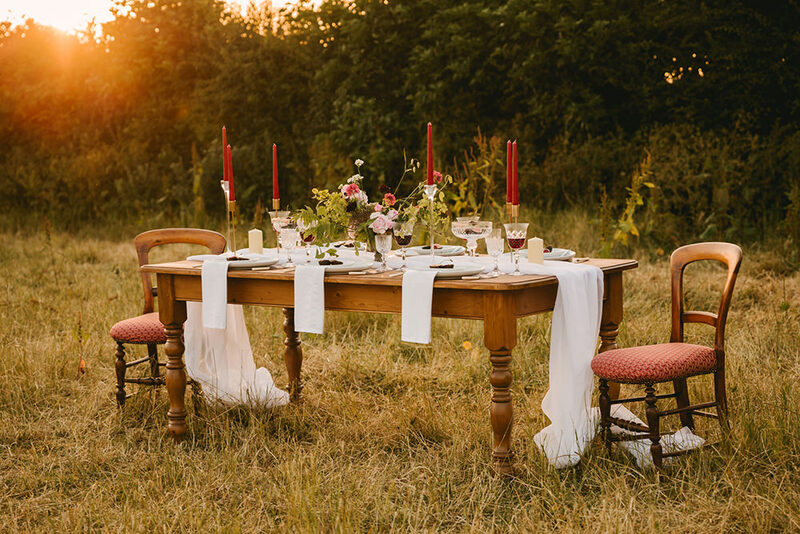 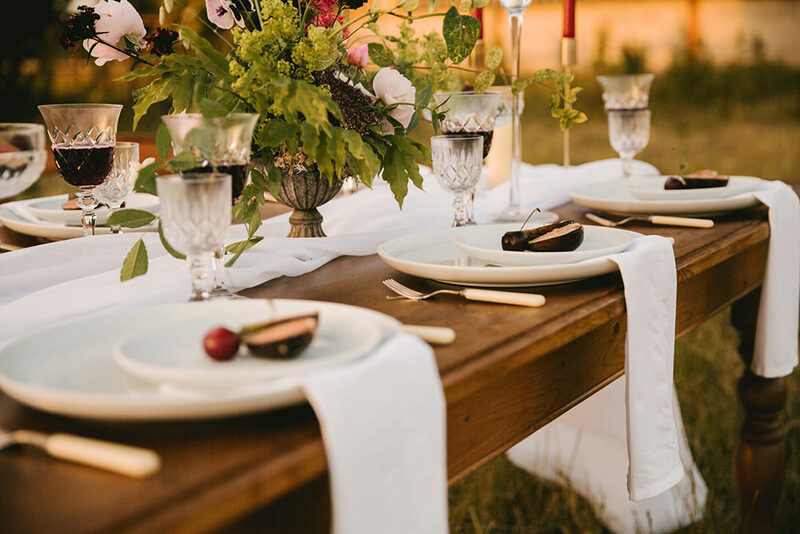 As the sun set, the images of the tablescape looked so idyllic, just imagine dining outdoors, with all of your loved ones on a summer evening right there. 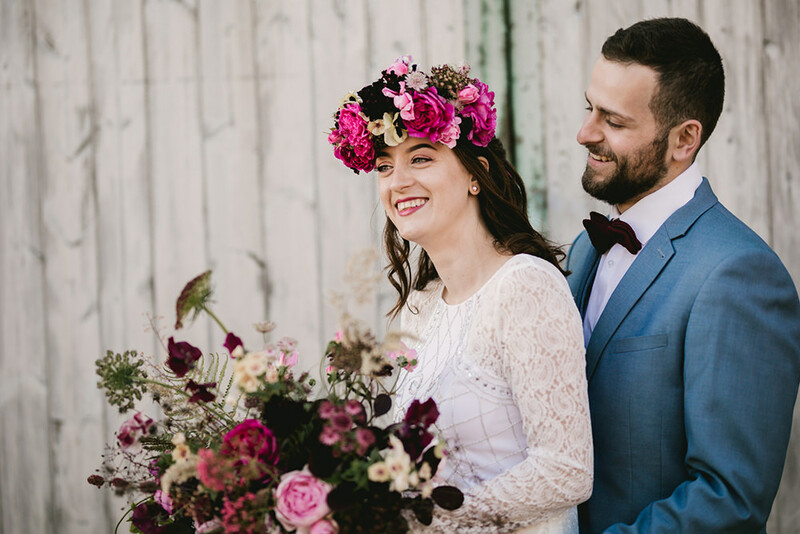 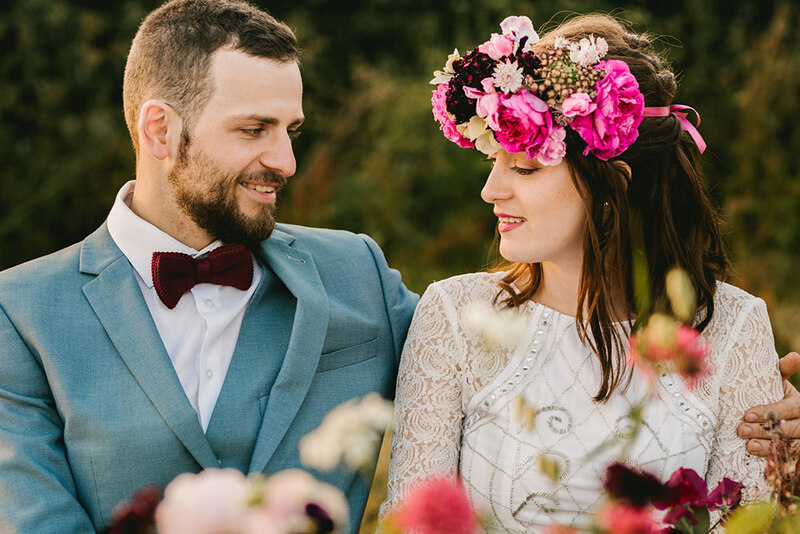 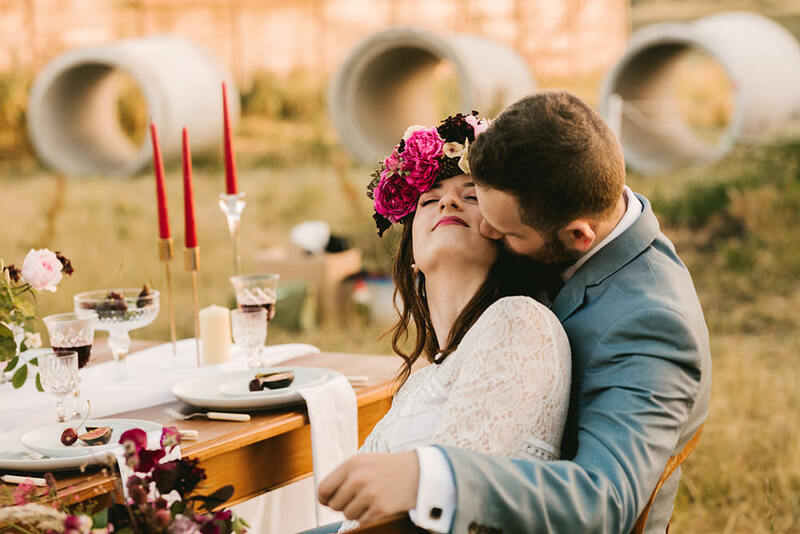 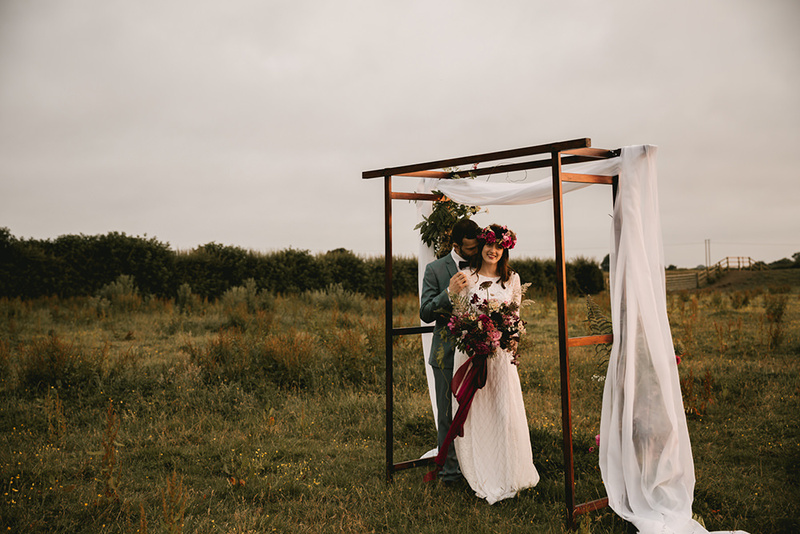 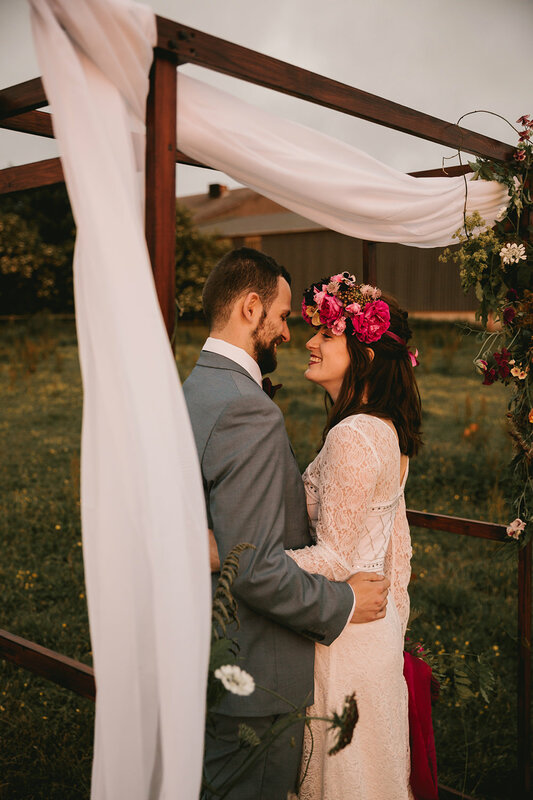 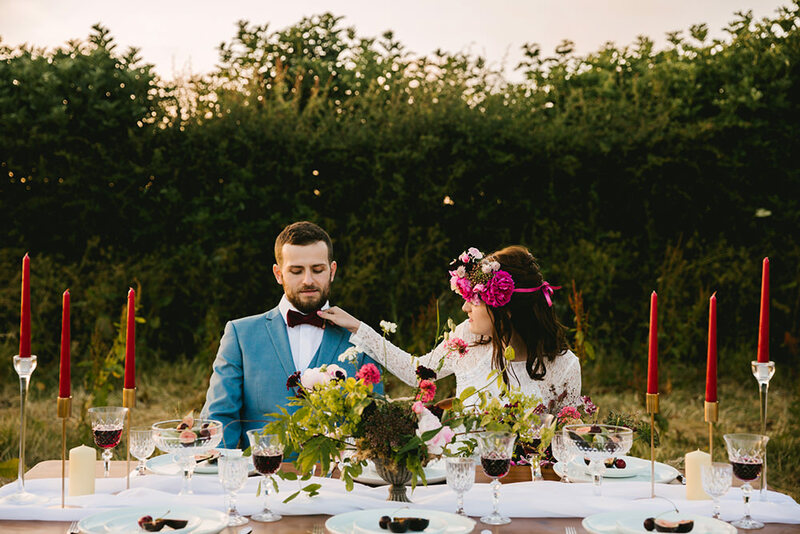 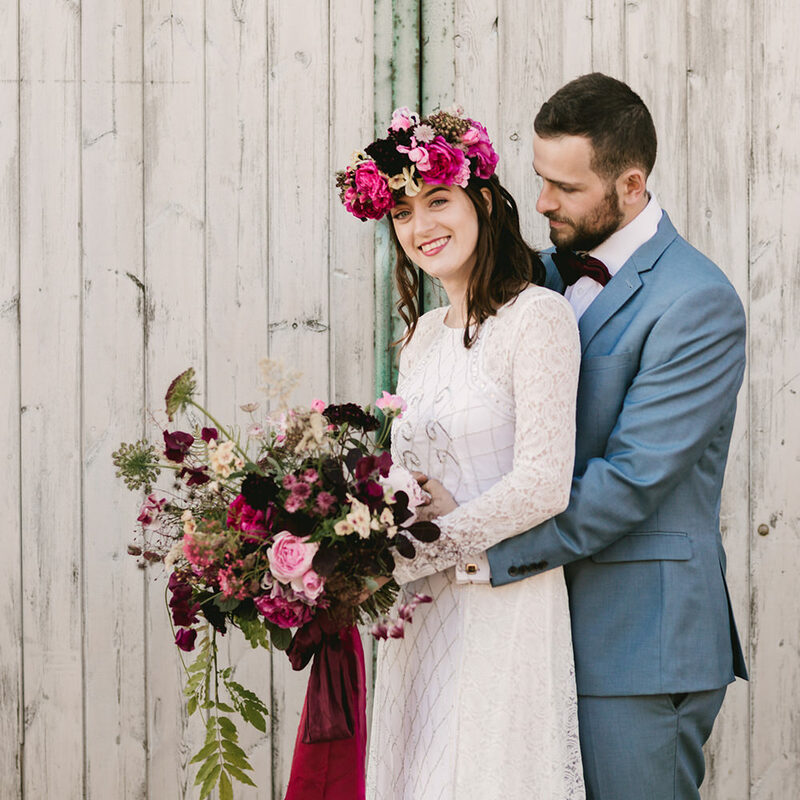 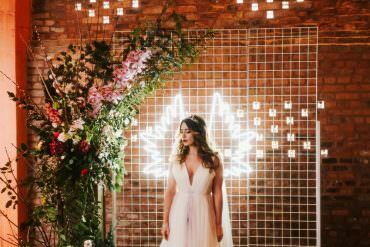 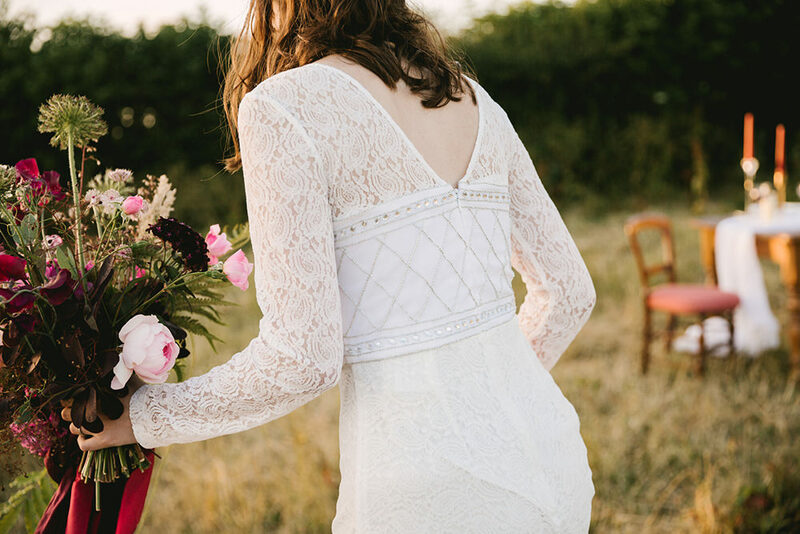 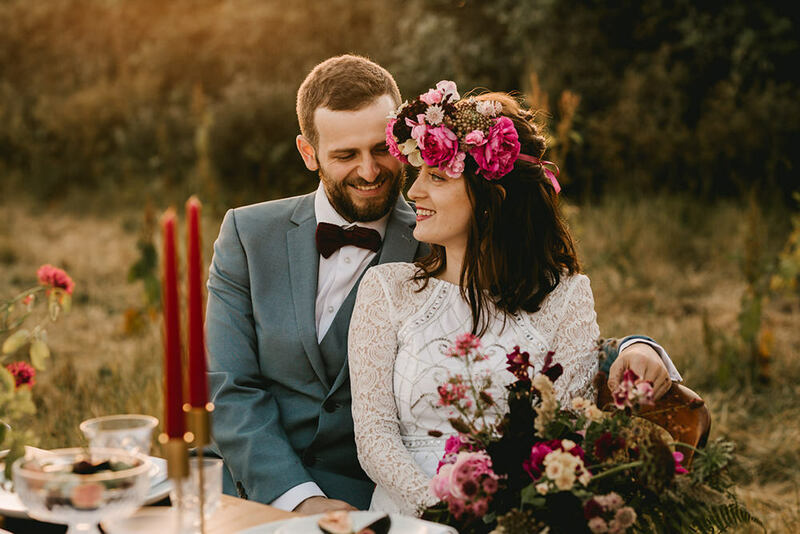 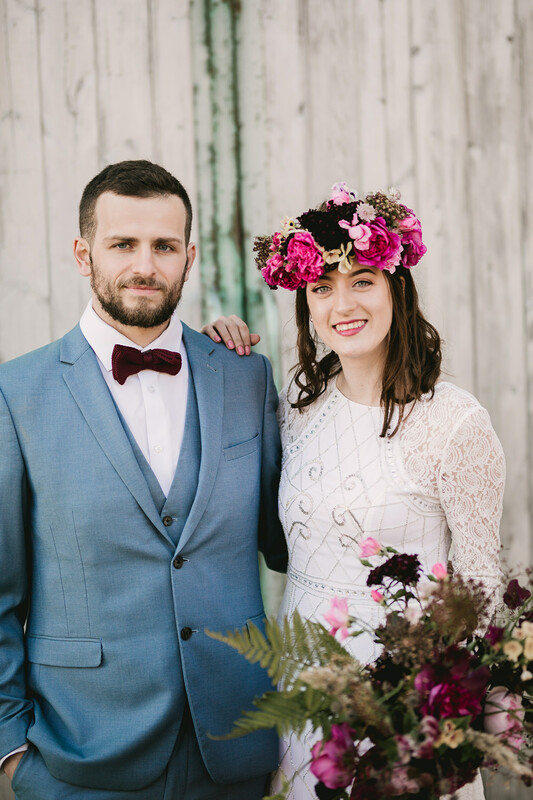 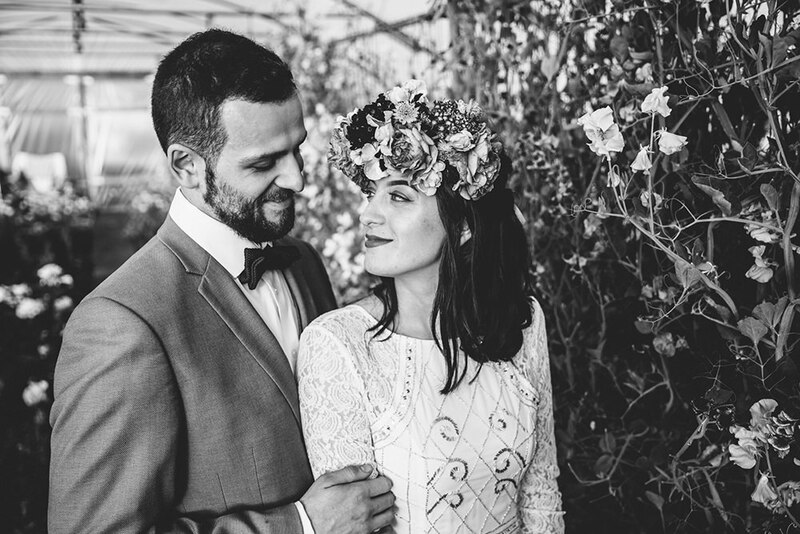 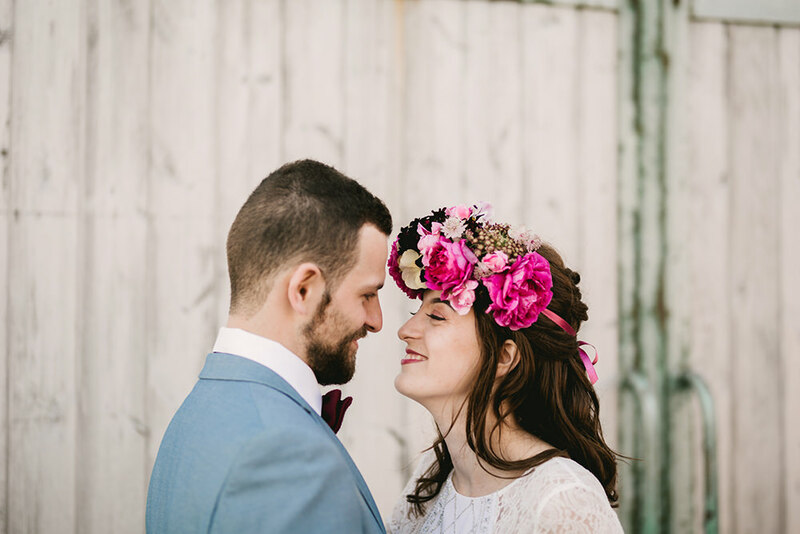 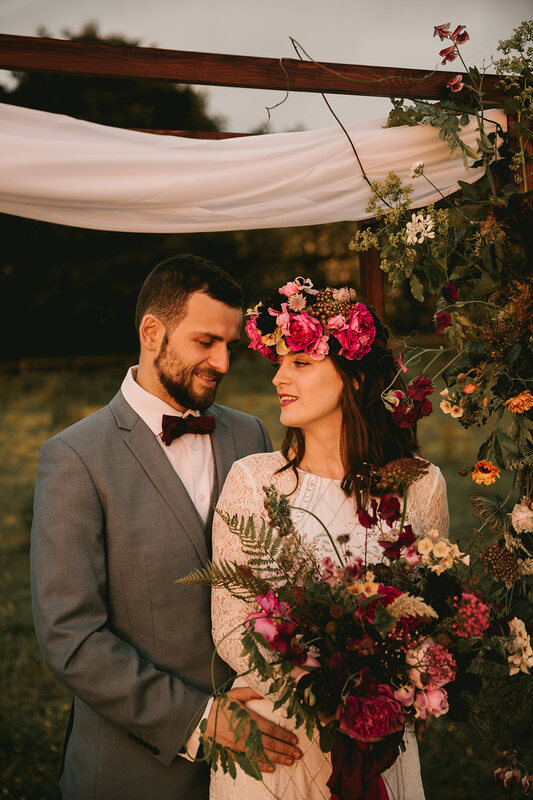 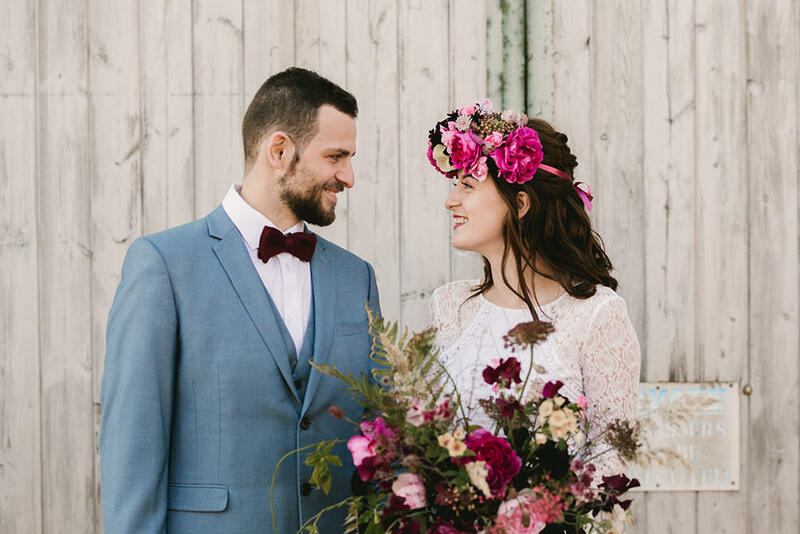 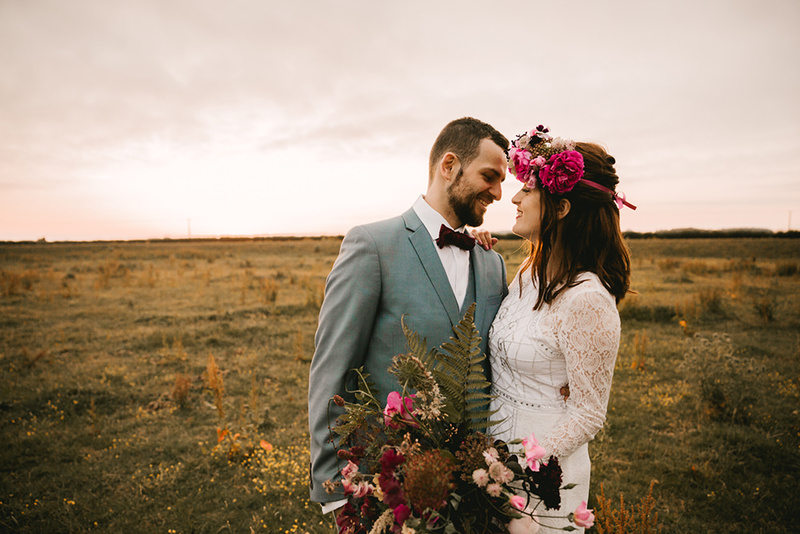 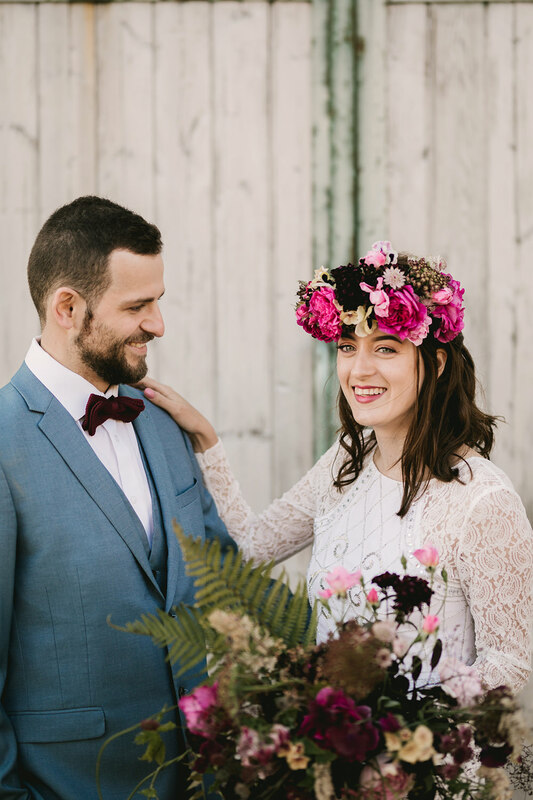 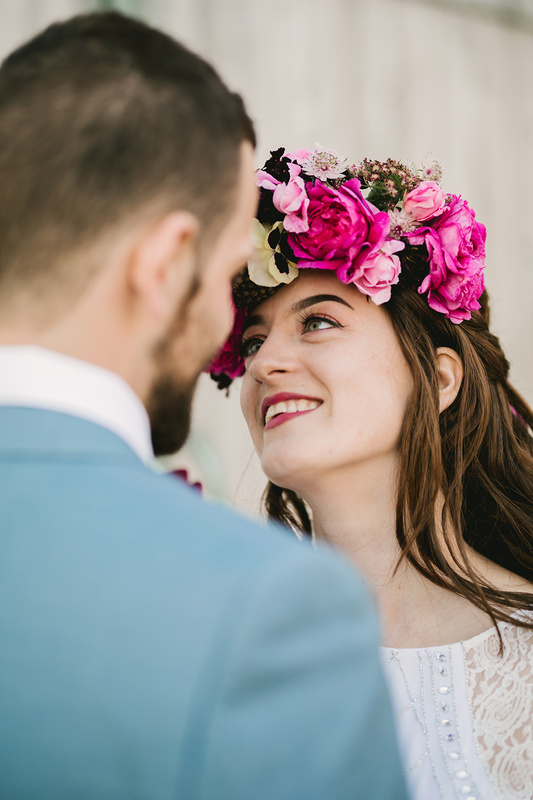 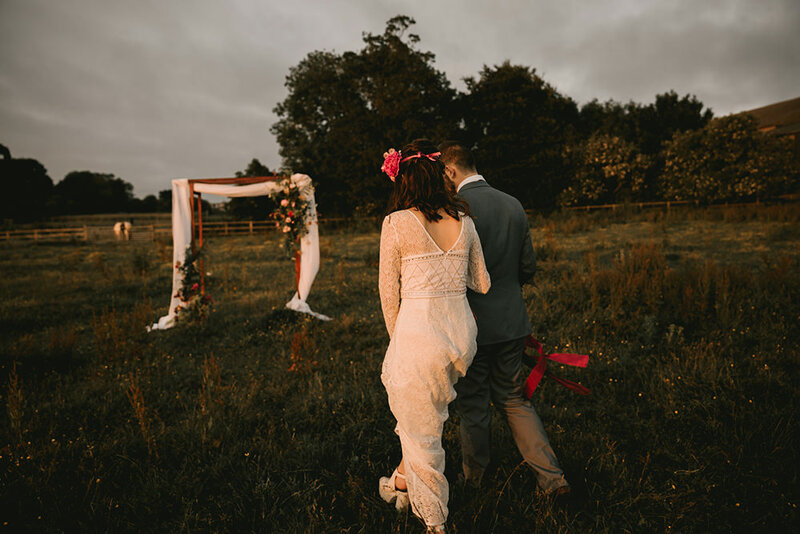 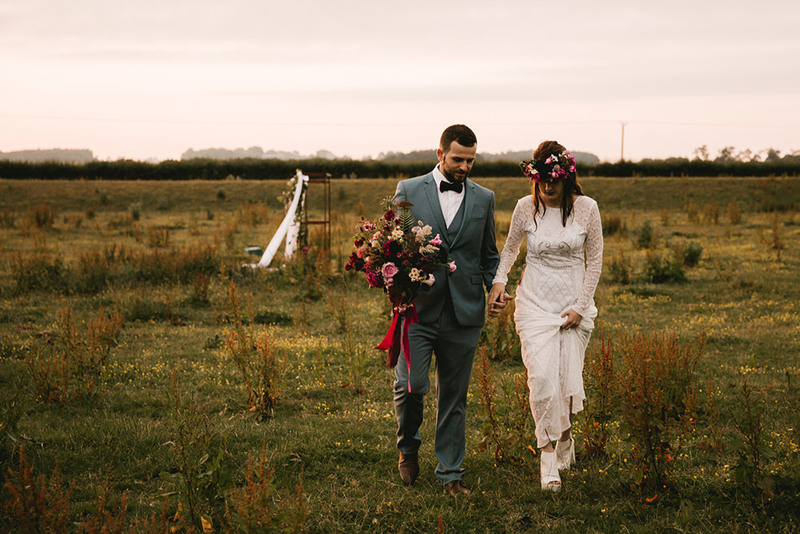 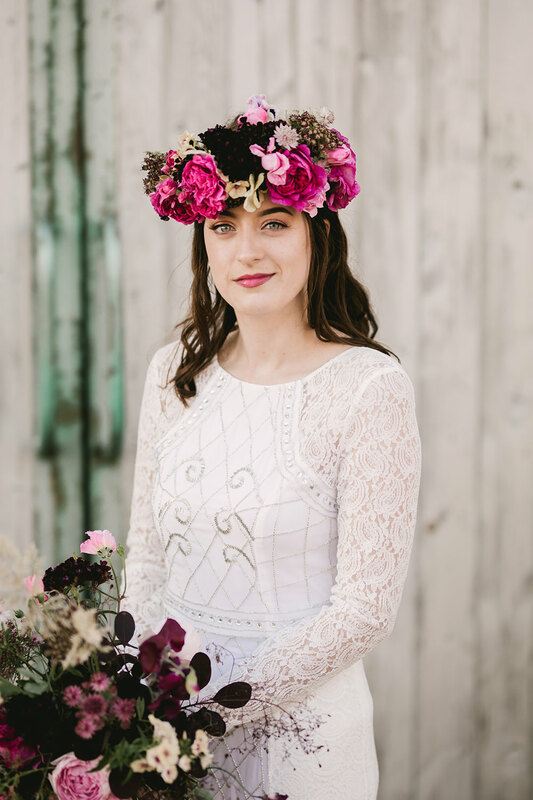 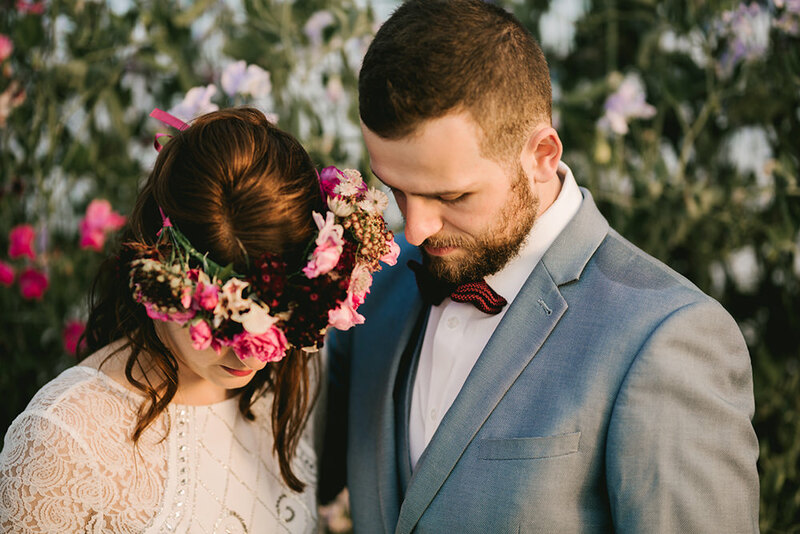 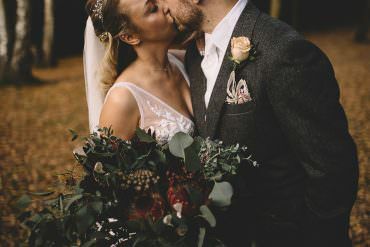 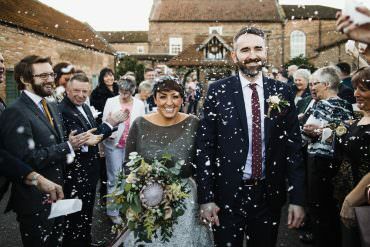 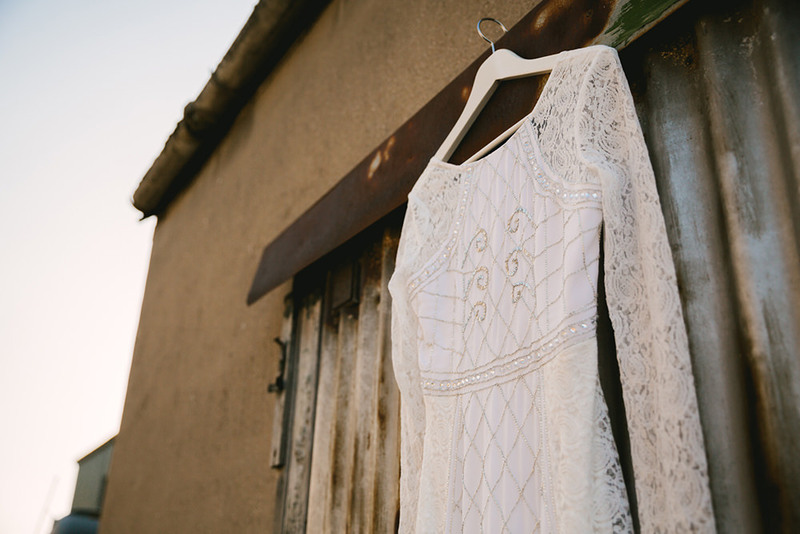 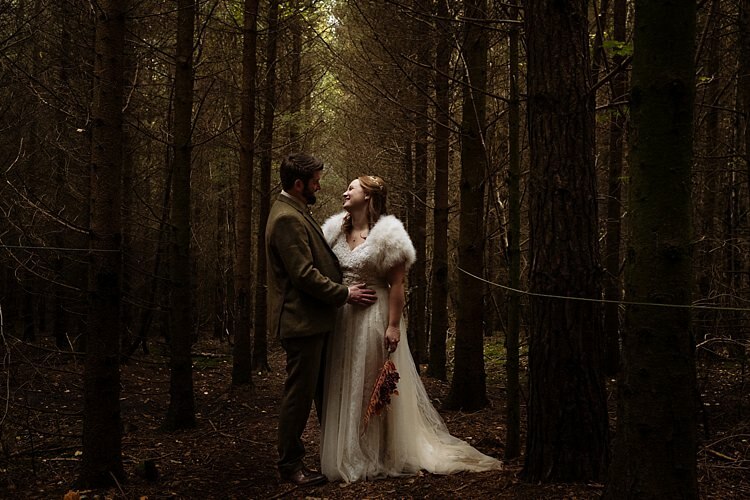 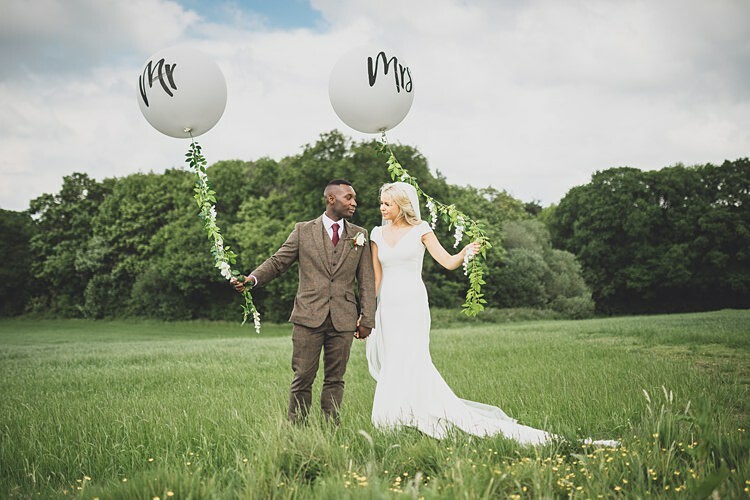 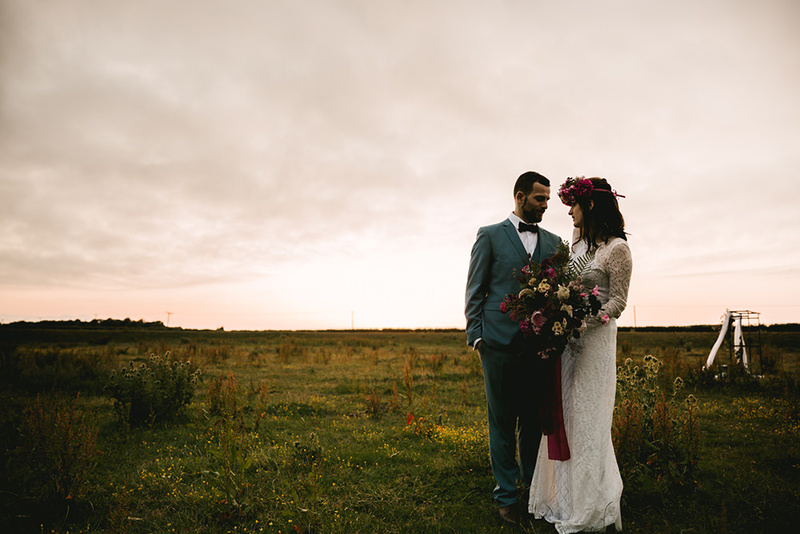 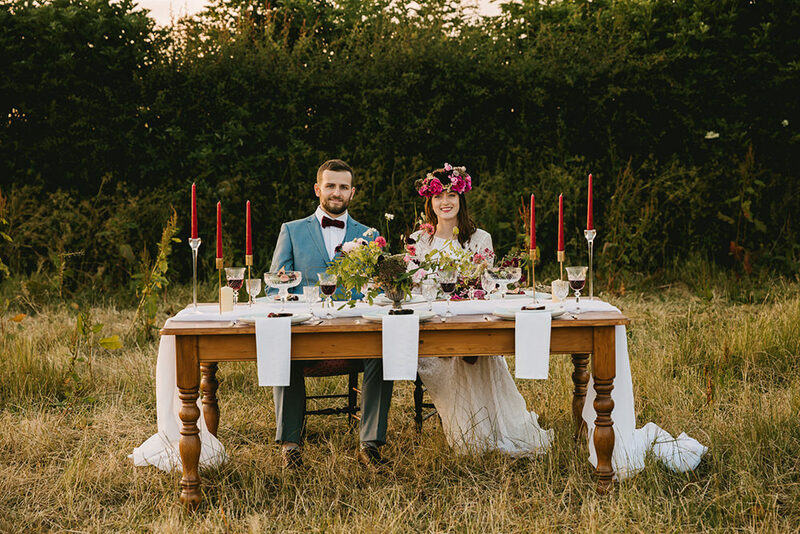 When Jemma King approached Andrea at Moxie Events with an initial concept of an ‘Antique wedding’ styled shoot to collaborate, Andrea couldn’t resist getting involved. 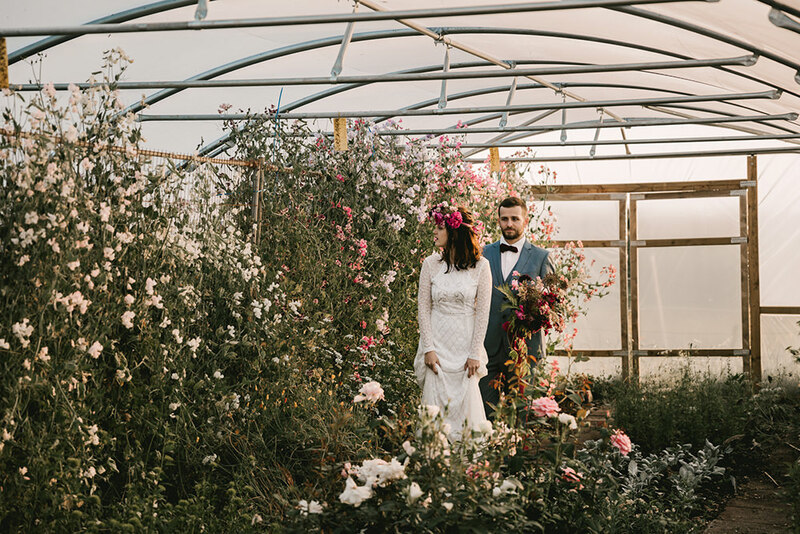 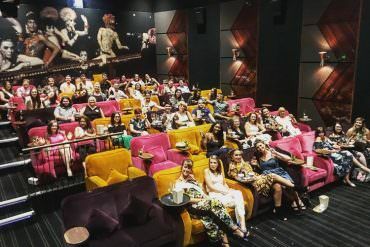 A laid-back setting, moody blooms and antique vibes was the brief. 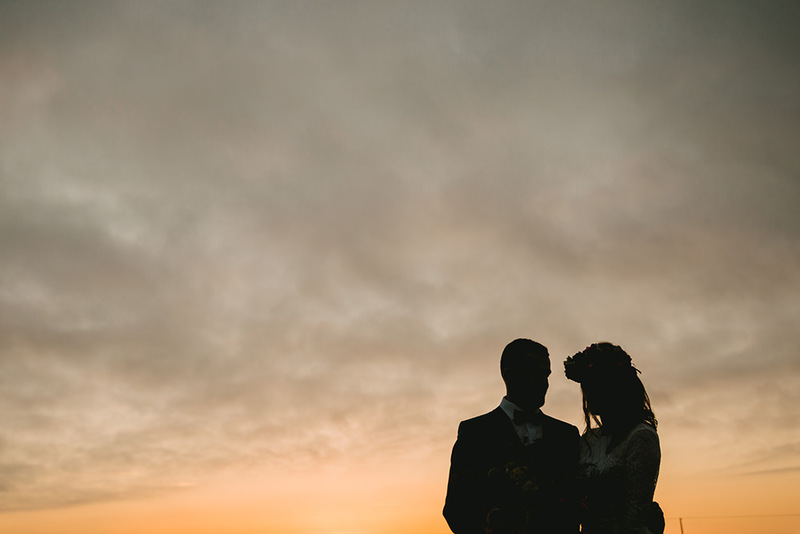 Originally planned for a beach location, but due to a high tide this was not possible! 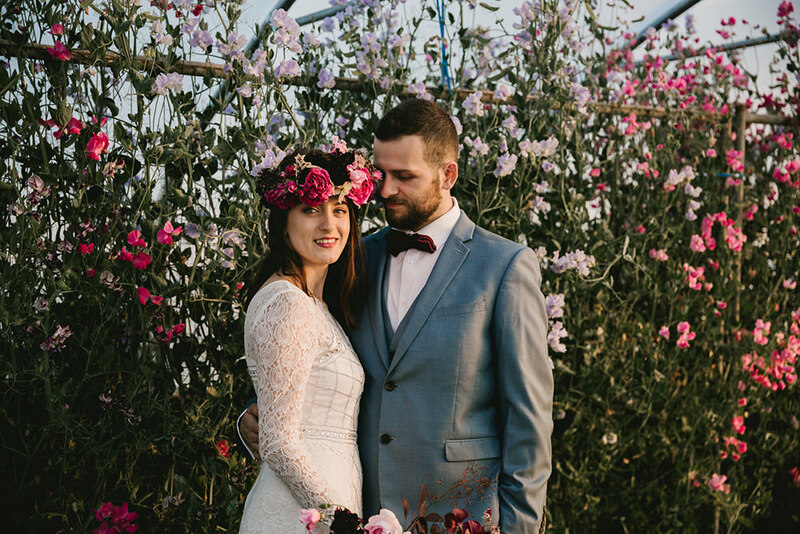 However, we were lucky enough to be working with a British flower grower, Bloom and Gray. 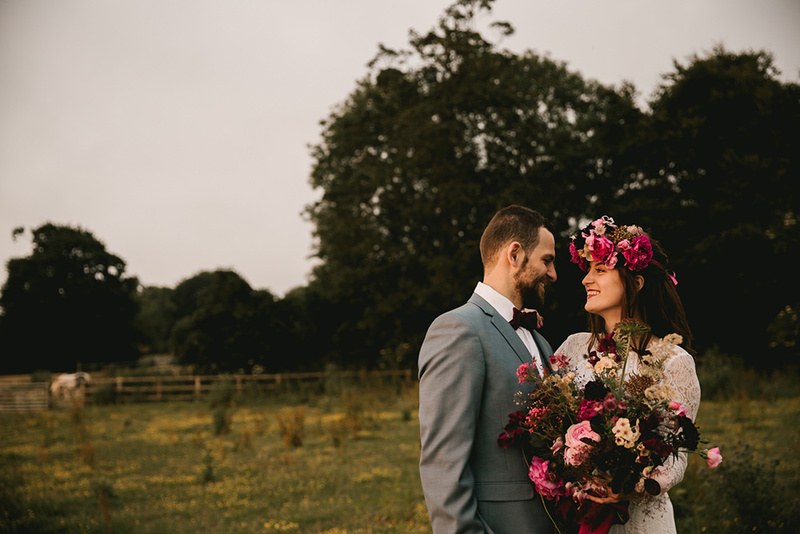 Sarah offered the use of her farm as the location, as well as providing the beautiful home grown flowers. 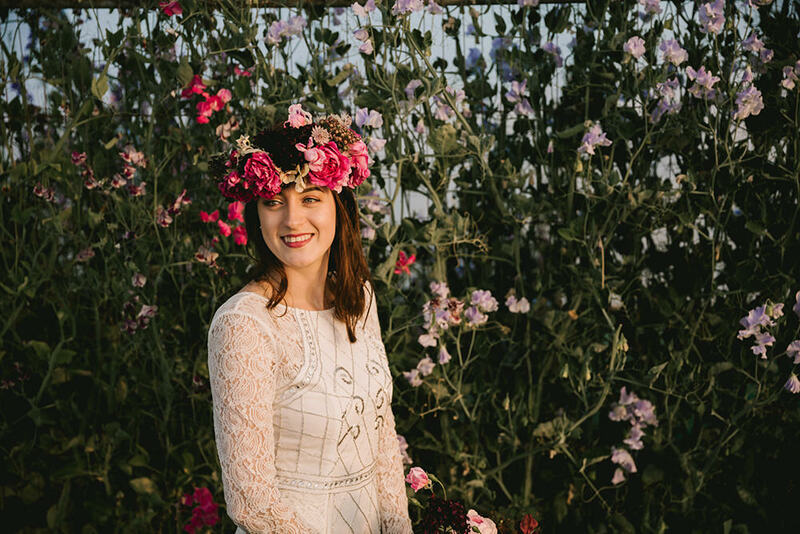 Jo and Jennie, aka Bloom and Bridal were the creators behind the stunning flower pieces. 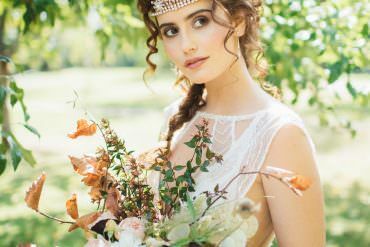 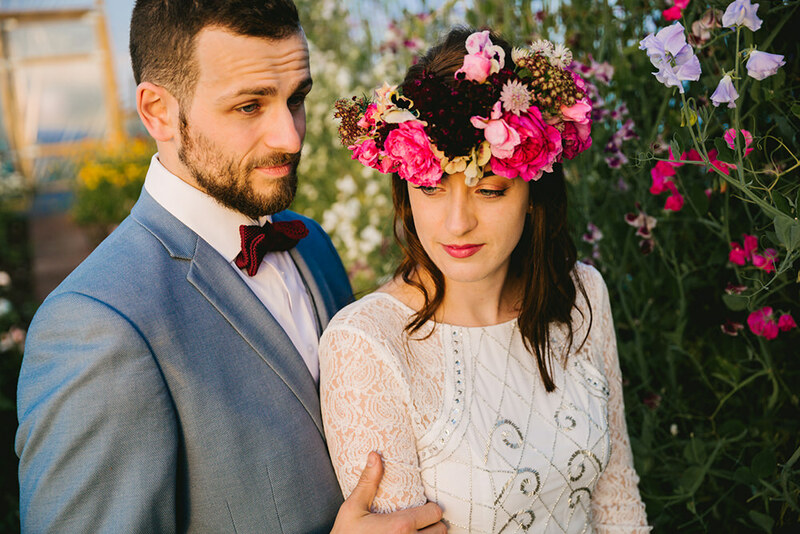 The stand-out headdress was definitely the show-stopper in this shoot. 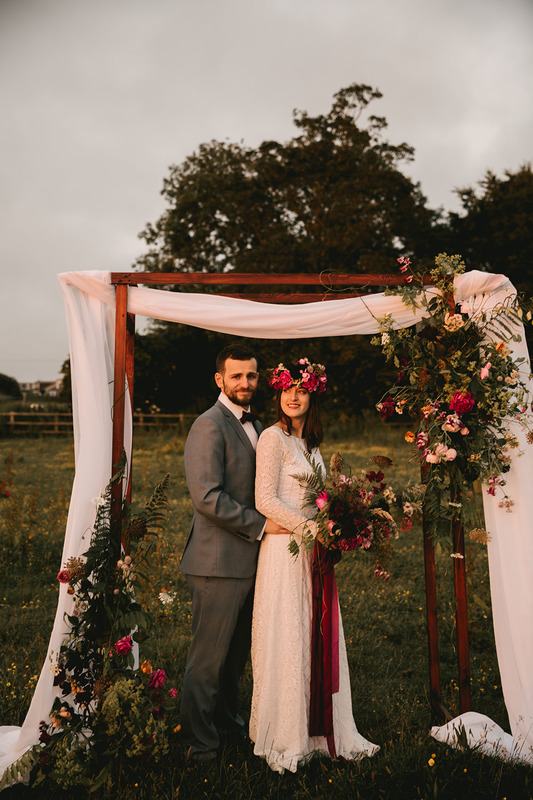 The colours and textures were designed to marry up with the arch, table setting and bouquet, with pretty silks provided by Little Acorn Silks. 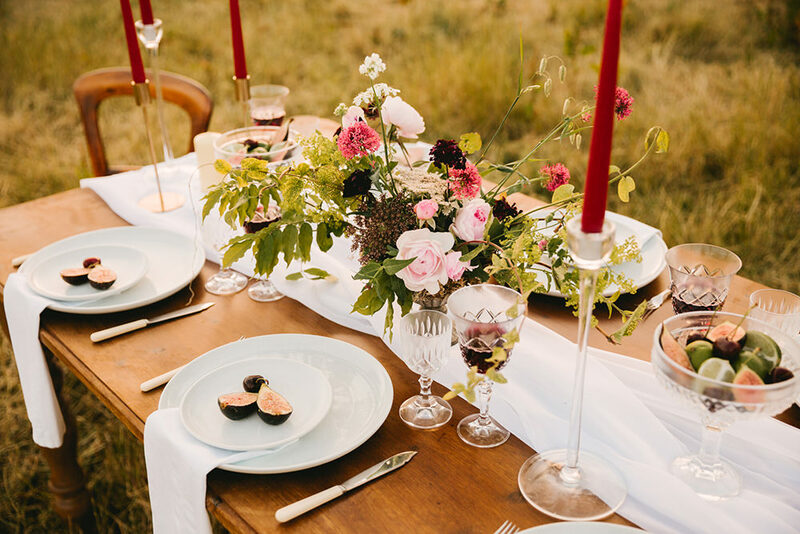 The inviting table setting was styled by Andrea at Moxie Events. 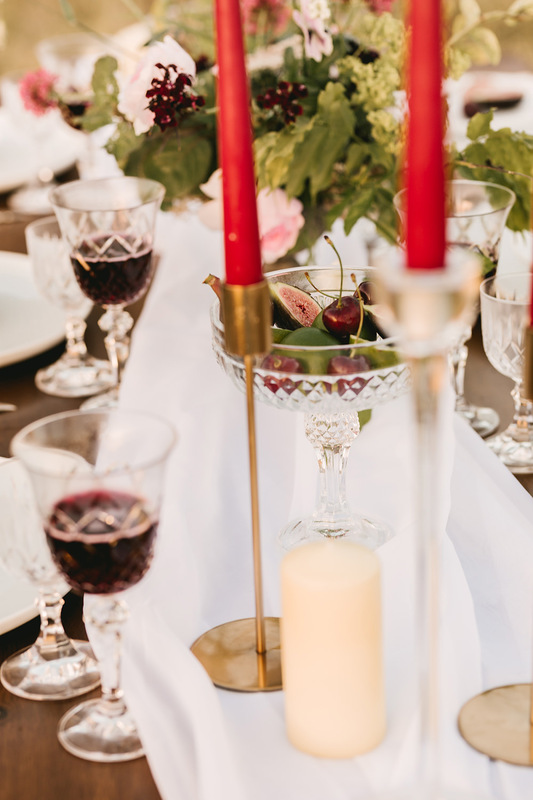 Rich colours and textures were used, incorporating antique elements to create a romantic atmosphere. 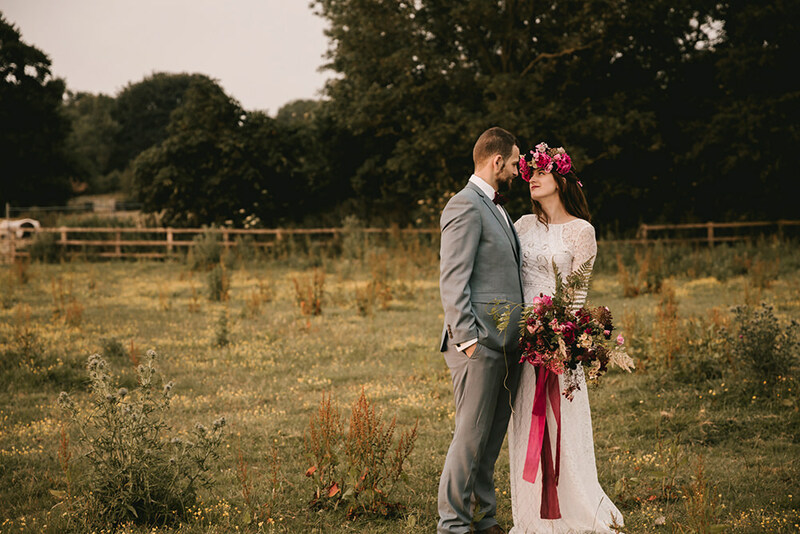 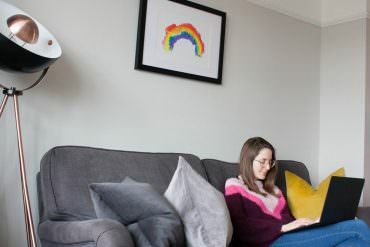 Jemma worked her magic and captured this shoot perfectly. 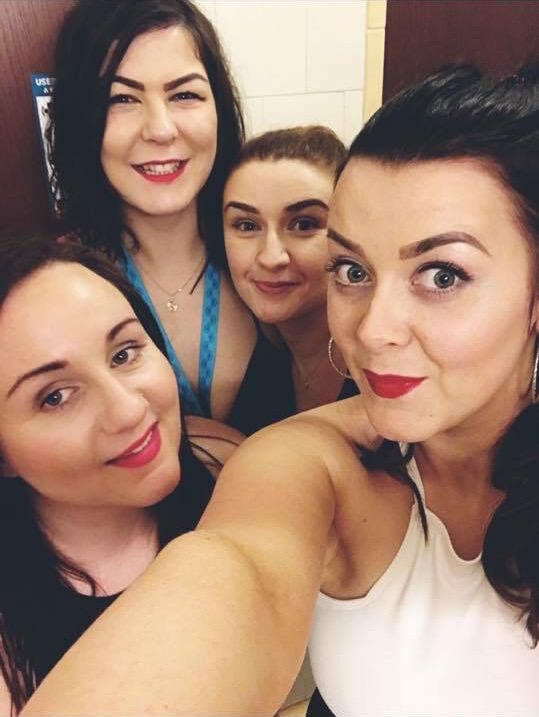 The team were thrilled with the outcome.